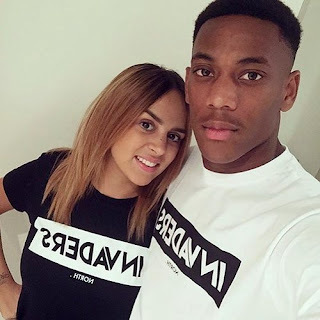 Manchester United forward Anthony Martial didn’t have a good weekend as he was left out of the squad to face Chelsea at Old Trafford on Sunday evening. The Frenchman hasn’t always been in Jose Mourinho’s good books since he took charge last summer, as the Portuguese tactician has previously challenged him to step up and deliver. United’s woes in front of goal for the most part this season can be attributed to the likes of Martial and Marcus Rashford, and perhaps there was something in the most recent snub to suggest that he could be under real pressure to prove himself moving forward. If that wasn’t bad enough, former flame Samantha Helena has had a pop at him too, leaving a Snapchat post open for interpretation as to whether she was merely just giving him some grief or hinting at problems between the 21-year-old and Mourinho.